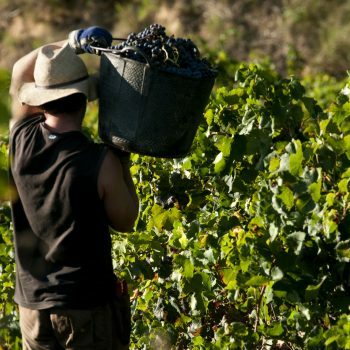 Provisionally, total production of wine and must in the current 2017/18 vintage stands at 35.6 million hectoliters, compared with 44 million hectoliters in 2016 – a 19.6% drop – according to a statement released this week by Spain’s Ministry of Agriculture and Fisheries, Food and Environment. Based on figures from the Market Information System of the Wine Sector (INFOVI), of the 35.6 million hectoliters produced 13.6 million hectoliters has been declared as wine with Protected Designation of Origin (PDO), 3.6 million hectoliters as wine with Protected Geographical Indication (PGI), and 6.2 million hectoliters as varietal wines. The remaining wines represent 29% of total production. Overall, production in 2017 is 19.6% lower than the previous season and 17.6% lower than the average of the previous six seasons. “The declarations confirm, therefore, a campaign of relatively low production, which, together with the also low productions of the main producing countries of the community, has supposed a price increase in the wine market,” a statement from the ministry said. The latest figures follow what has been a challenging year for producers throughout Europe, with with late spring frosts, widespread drought and a heatwave affecting large swathes of France, Spain and Italy. In October, The European Commission said it expected production in Europe to be at a 36-year low with the OIV at that time estimating that Italy will suffer a 23% drop, France will be down 19% and Spanish production down 15%. The latest figures from Spain ministry of agriculture, push that estimate to 19.6%.